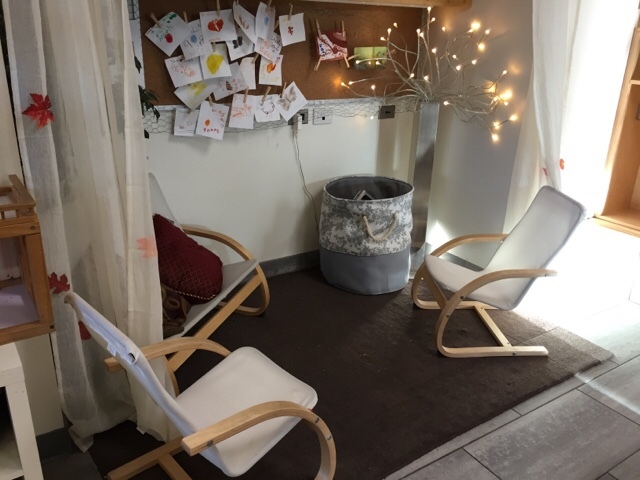 Spring often brings with it reflection and renewal and we felt it was time for us to renovate our reading area. Although it was tucked away in a cozy nook and we replenished the books often, the children weren't drawn to using it. We wanted to spark their interest in the centre so that they would be inspired to visit this area again for the remaining months of the school year. During a whole group discussion we asked the children what they liked about the centre. 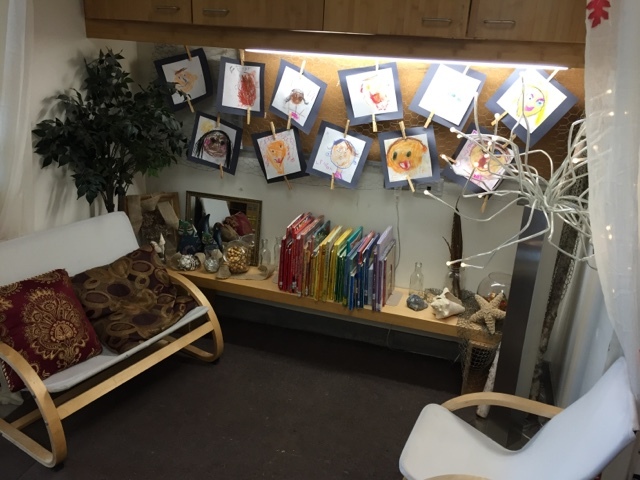 They shared that they enjoyed sitting on the chairs and chatting with friends, reading books from around the room on the chairs, and they loved the 'magical' light that we used each day to create a bit of ambience. They however hoped for new books to read and interesting things to look at. 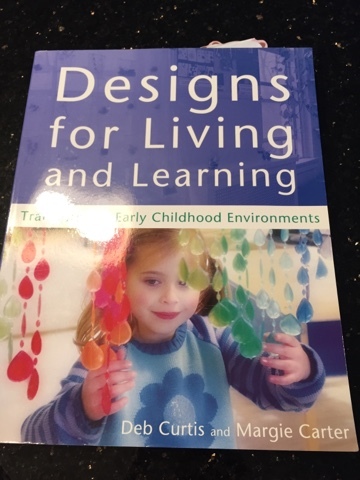 One of the most inspiring books I have read regarding beautiful designs in early childhood environments is "Designs for Living and Learning" by Deb Curtis and Margie Carter. The book is filled with large, colourful illustrations of learning spaces and the potential of many innovative and loose parts to inspire play and creativity. 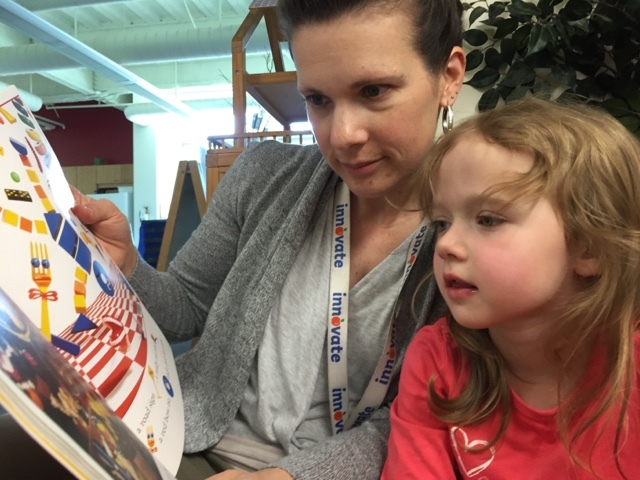 When considering how to take the children's suggestions from our discussion and use them to help design our new reading area, I reviewed this book for guidance and inspiration. Today we worked together with the children to create a magical place for literacy and exploration in our cozy reading nook. This is the finished centre as of this afternoon. I still envision adding more materials (perhaps writing and drawing bins to encourage more of the artistic language that is discussed on p. 17 in the book). We created an aesthetic display of many of our favourite read alouds, sorting and then organizing them by colour. Our children have been fascinated by colours (mixing them, creating different shades, using them as interesting representations for objects, etc.) so I really wanted to reflect this back in the way we presented the reading materials. 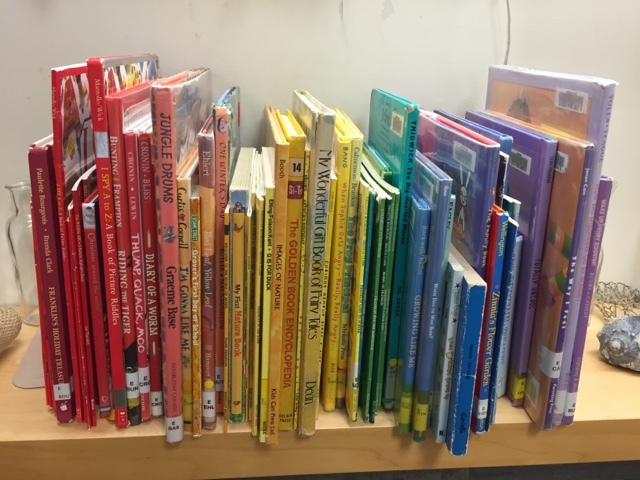 I also liked that this incorporated math into the centre as the sorting rule for the books was organization by colour. The new, low shelf is made by placing a long wall shelf from IKEA on two wooden big blocks from our building centre. It's a portable shelf that is now low and at the child's height, especially when they are sitting on the carpet. 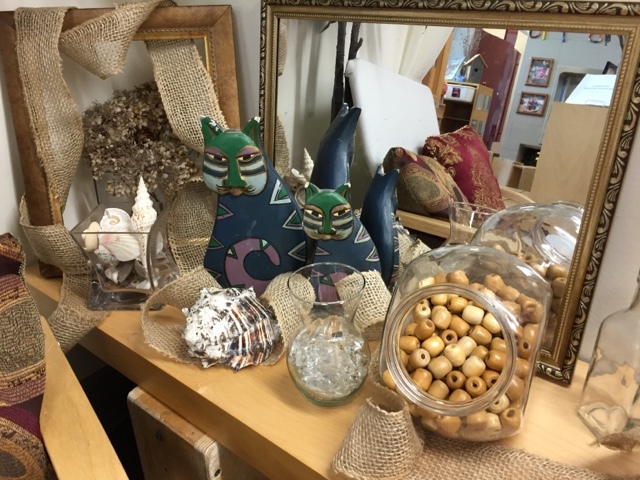 We found some of the children's favourite objects in the room (whimsical cats, wooden beads, shells) and placed them in an interesting display. We used the frame to highlight the dried hydrangeas and placed a mirror behind the objects to reflect light and provide an interesting view. The children can also look at themselves in the reflection. 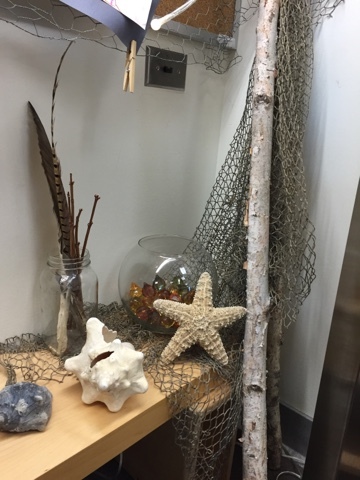 We were inspired by the passage referring to childhood 'treasures' like shells, sticks, and feathers so we created a textured display by using fishing net and large birch branches to help highlight and showcase the materials. We are going to add another large mirror behind this display. 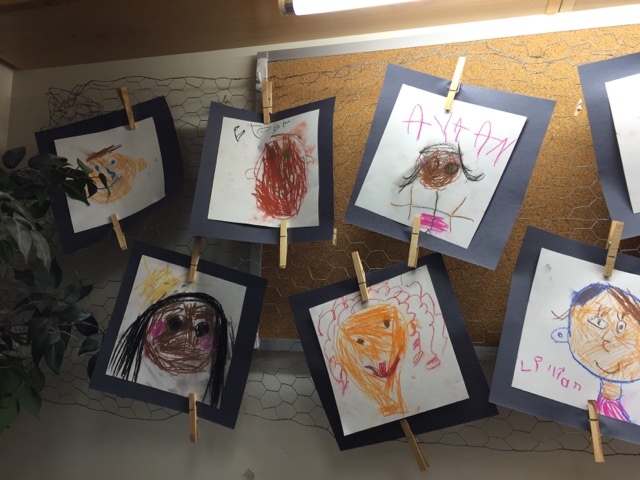 Our children love to draw and we have been focused this year on growth mindset and the unique differences that make us a special, powerful group of learners. 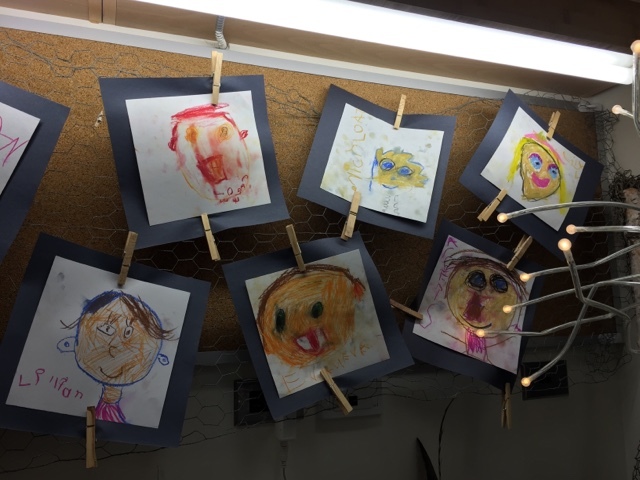 We showcased the children's recent pastel self-portraits, using a black frame to help the art stand out on the chicken wire display board. The children were immediately drawn to the new materials after they helped us organize the centre. We are always amazed at how carefully they handle the delicate objects; they are diligent in returning them to the spot where they were found and are very kind and considerate in sharing the materials with others. New books were discovered and old favourites found again. Many children spent time at this centre this afternoon, accomplishing what we had set out to do! 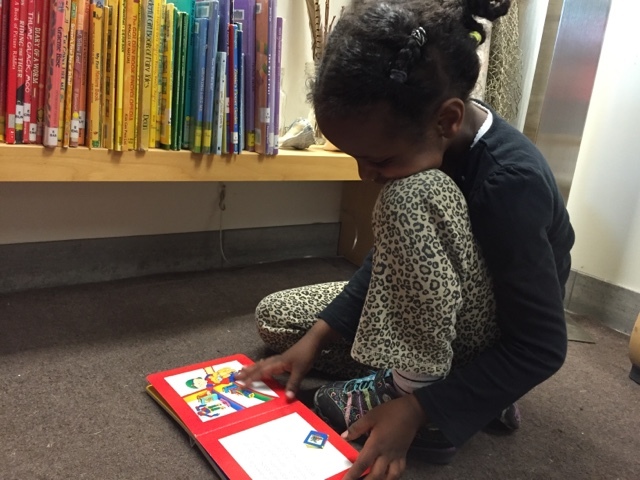 We sparked a new interest in visiting the reading area, which had now become a place for magic and wonder. This is exactly what the children had hoped we would do in our planning discussion earlier in the week! After all that work I even had time to enjoy a few books with my special helpers! 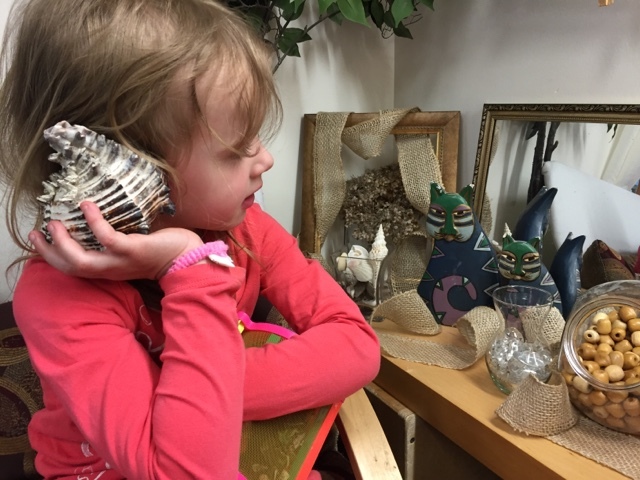 We hope you are inspired to revisit some of your centres and consider how you might be able to add a little wonder and magic for your learners! Next we are going to refresh our dramatic arts centre. Stay tuned!